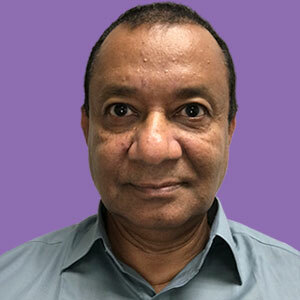 Dr. Ali graduated as a doctor of medicine from the Rajshahi Medical College, where he also completed his internship. He went on to earn a diploma in pediatrics from the National University of Ireland in Dublin, Ireland. He completed his residency training in general psychiatry at Brookdale University Hospital in Brooklyn, New York. Dr. Ali received a fellowship in child and adolescent psychiatry from the State University of New York at Brooklyn in 1998. Dr. Ali speaks five languages and has many international qualifications, licenses, and memberships in professional organizations. Currently, Dr. Ali works in a youth services program with the Los Angeles County Department of Mental Health Clinic in Compton, California. He is licensed as a physician in three states. He has served as a medical director of several substance abuse programs, including residential drug rehabilitation facilities and a detoxification unit. He is a frequent speaker on mental health topics.